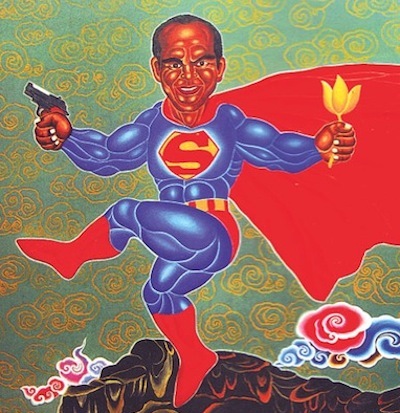 Police have closed an exhibition of paintings by Nepalese artist Manish Harijan. The exhibition, The Rise Of The Collateral at Siddhartha Art Gallery in Kathmandu, was shut down yesterday after police received complaints that Harijan's work was blasphemous. 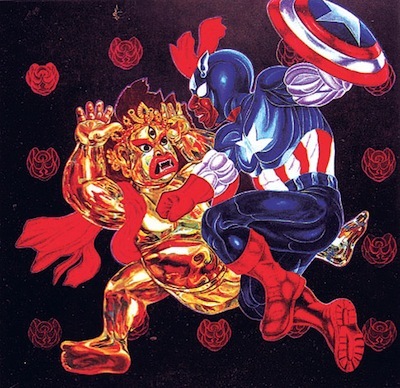 Harijan's exhibition included paintings of Hindu deities caricatured as superheroes, such as Captain America Playing With Bhairav and The Ghost Rider In Buddha. 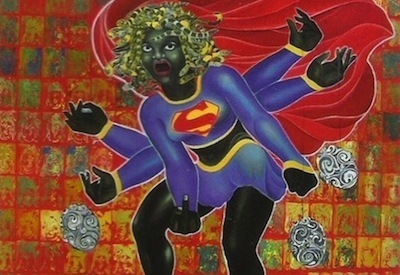 Super Kali portrayed Kali as Superwoman. Super Nataraj depicted Shiva as Superman. The exhibition, which featured eleven paintings, opened on 22nd August and was scheduled to close on 20th September.